Are We Hamsters on the Wheel of Illiteracy? We see it in our inboxes. We read it in our news articles. We can Google it and find countless studies and blog entries. The issue isn’t awareness any longer, the issue is how are we going to address our country’s literacy problem. Like hamsters on a wheel, this summer could mark the beginning of the United States’ 11th year with unchanged illiteracy rates. 67% of students are not proficient in reading by the end of 3rd grade. Students who are not proficient by the end of 4th grade are 66% more likely to wind up on welfare or in prison. Students who are retained to repeat a grade will cost a District an average of $10,000 each. 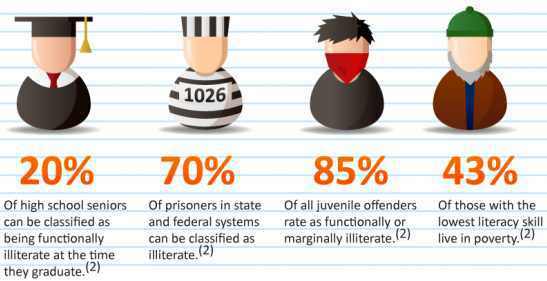 The US illiteracy rate hasn’t changed in 10 years. Prior to fourth grade, our educational system’s literacy plan is about learning to read; from that point, it’s about reading to learn. The basic system doesn’t cater well to deviations. Therefore, we have a countless supply of data around the failures. However, we do not offer many solutions to the crisis. Unless you have lived under a rock, or have spent the last five years on your own private island playing Naked and Afraid, you know these stats about the lack of reading proficiency among our early learners and what the consequences are if not addressed. What you may not have heard is there’s a growing tribe of solution seekers looking for answers to the problem. America has a plentiful supply of entrepreneurs hungering to invent the next widget that successfully resolves a problem; but not many who are aggressively pursuing the literacy crisis. Educators are increasingly looking for actions they can take in PreK to 1st grade as a proactive measure against failing academic and social futures; yet, they’ve been stifled by lack of funding, lack of solutions, and lack of proven curriculum. It’s hard to solve any issue without finding, defining, and exposing the root of the problem. Teachers commonly cite student engagement as a major contributor to not learning and not retaining the presented information. In their personal lives, today’s children are exposed to so many neurological stimulants in an average day that a typical classroom curriculum simply doesn’t hold their attention. Therefore with low engagement, learning is hindered and retention of information is minimal. Studies show that the average attention span is now around eight seconds – and that is for adults. A second, more challenging contributor to the literacy crisis is the variation in students’ individual learning styles and abilities. Some students learn by seeing; some by hearing; and others by doing. If curriculum is not presented in a blend of these learning styles, the inevitable occurs and the students enter the path to failure. Yet more often than not, a lack of resources can restrict a teacher’s ability to cater to and catch those who are falling behind. As a mother of four, including two adopted sons from overseas, Cynthia has personally experienced the struggles with teaching children how to read. She tried everything on the market to help them but nothing worked. 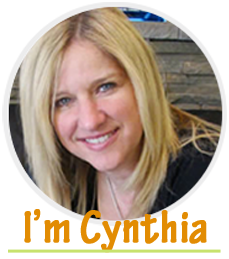 Faced with this challenge and in search of a “better way,” she was able to pull from her career experience as a CEO of an educational products provider. Having been introduced to Augmented Reality (3D without the glasses), she knew this could be the secret sauce we needed to capture young imaginations and increase engagement. After two years of R&D, Letters alive was released as a Supplemental Reading solution for Pre-K to 3rd Grade and was our small contribution to the mission of improving literacy rates. Unfortunately, by the time the solution was ready, Cynthia’s youngest son was entering his teen years and becoming another illiteracy statistic. Cynthia knew then that we had a mission much bigger than herself and made a vow to do everything in her power to prevent this from happening to other children. We aim to equip educators with engaging solutions that help young learners become proficient in reading and math by 3rd grade. We celebrate any other solution providers who can also deliver effective tools towards this cause. This is a nationwide crisis and requires a united effort to bring about literacy improvements. Ultimately, we can research ourselves into oblivion hashing through the consequential social failures that occur as a direct result of not addressing this crisis; but until we get serious about tapping into innovative solutions that make a positive difference, we are just hamsters on the wheel of illiteracy. Previous PostPrevious Will You be Someone’s Favorite Teacher? Next PostNext Will Your Summer Program Prevent the Summer Slide?